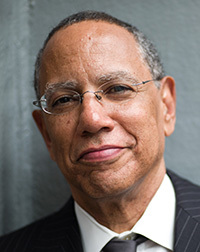 Dean Baquet is the executive editor at The New York Times. Baquet got his start at his hometown afternoon newspaper, The States-Item. The paper was later absorbed by the Times-Picayune. Six years later he joined the Chicago Tribune. Baquet led a team of reporters at the Tribune to a Pulitzer Prize for investigative journalism after exposing deep corruption within the Chicago city council. Baquet joined The New York Times as a metro reporter in 1990 and became national editor in 1995. Ten years later he became the managing editor at The Los Angeles Times. In 2005, he became the first African-American journalist to lead a top U.S. newspaper when the LA Times promoted him to editor. He re-joined The New York Times in 2007. He was promoted to executive editor in 2014 making him the first African-American to serve in the Times’ top newsroom position in the newspaper’s 163-year history. Marilyn Laurie became the highest-ranking woman in AT&T history when she was promoted to executive vice president in 1987. She joined the global company in 1971 after playing a major part in the inaugural Earth Day celebration in New York City. As a part of the organizing committee, Laurie helped convince the mayor of New York to shut down Fifth Avenue in 1970. Since then, Earth Day has become an annual event celebrated worldwide. Laurie built a sterling career that launched her into the upper echelon of public communications. Her skills could not be ignored as she quickly rose in the ranks at AT&T from speechwriter to senior vice president. In 1987, she became the first woman to join AT&T’s 10-person executive committee. She was the first woman elected to the Arthur W. Page Society Hall of Fame and she was on the “most influential” lists of many publications and organizations. 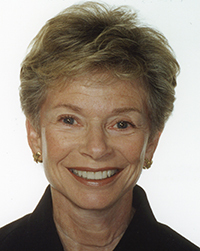 Laurie was an avid philanthropist and was committed to public service. She died in 2010. 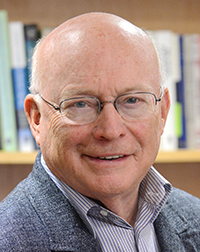 Jack Rowe had an illustrious career in corporate communications as a leading CEO in the healthcare industry. From 1988 to 1998, prior to the Mount Sinai-NYU Health merger, Rowe was president of the Mount Sinai Hospital and the Mount Sinai School of Medicine in New York City. From 1998 to 2000, Rowe served as president and CEO of Mount Sinai NYU Health, one of the nation's largest academic health care organizations. From 2000 until late 2006, Rowe was chairman and CEO of Aetna, Inc., one of the nation's leading health care and related benefits organizations. During his tenure he transformed Aetna’s business model and culture with a focus on empowering physicians, enabling patients to achieve health and financial security, before retiring in 2006. Business Week named him “Manager of the Year” in 2005. The Smithsonian Institute, in association with the Woodrow Wilson International Center for Scholars, awarded Rowe the Corporate Citizenship Award in 2006.